As a community leader, Thibodeaux has served as chairman of the Vermilion Parish Selection Service Board, The Vermilion Parish Police Jury's advisory board for solid waste management and mosquito control. He served as president of the Erath Lions Club in the 1950's and he and his wife, Elizabeth Mary "Bessie" Guarino were members of the Twelve and Go Club for more than 20 years. He is a charter member of the Knights of Columbus and the American Legion. 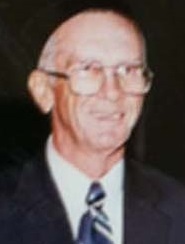 Since 1973, Thibodeaux had been in charge of the business affairs of the Aristide Broussard heirs with some of the largest land holdings in Vermilion Parish. He has successfully traced his Broussard, Thibodeaux and Landry ancestry back to the 1600s. At 86 years of age, he continues to welcome French-speaking guests from other countries and still provides for and maintains his heard of cattle.